I love this greenwash series of watercolors. This one is especially my favorite because it is of my lil guy Marley when he was still a puppy cruising The North Shore of Oahu, Hawaii. 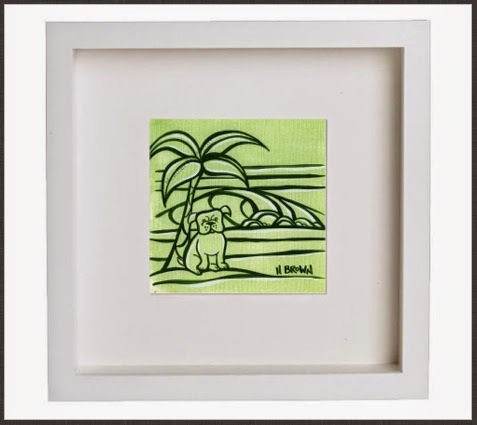 He loves the beach, watching surfers and of course being featured in some new surf art!